The Hotel is located in the beautifully unspoilt Fermain Valley with stunning views that look over the neighbouring Channel Islands and down to the tranquil bay below. With its beautiful cliff top position offering breathtaking views of the neighboring Channel Islands, the Fermain Valley Hotel in Guernsey is as loved for its stunning location as it is for its home-from- home comforts and the warmth of its hospitality. The four star Fermain Valley Hotel achieves a level of comfort combined with luxury not found elsewhere in the Channel Islands. Owner and founder, Derek Coates, had a vision to create a hotel that ensures guests feel at home, yet away from it all! The hotel is designed with comfort in mind, with additional luxuries such as award-winning gardens, a 3D cinema, a pool and sauna, and a free shuttle bus service. Guests are encouraged to make themselves at home both within their room as well as around the boutique hotel. There are plenty of cozy little corners to be discovered and enjoyed! The beautifully landscaped gardens are perfect for a relaxing stroll or a game of hide and seek. The Fermain Valley Hotel is relaxed coastal living at its best. 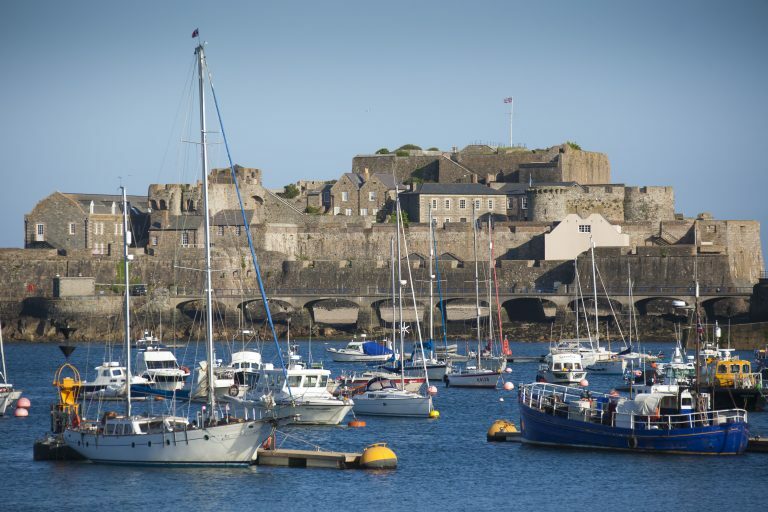 The Fermain Valley hotel is located on the outskirts of St Peter Port, Guernsey's vibrant capital. Situated down a quiet leafy lane, with spectacular views out over the Fermain Valley, you can feel like you are getting away from it all whilst still being close to the main hub making the location a perfect base for island touring. 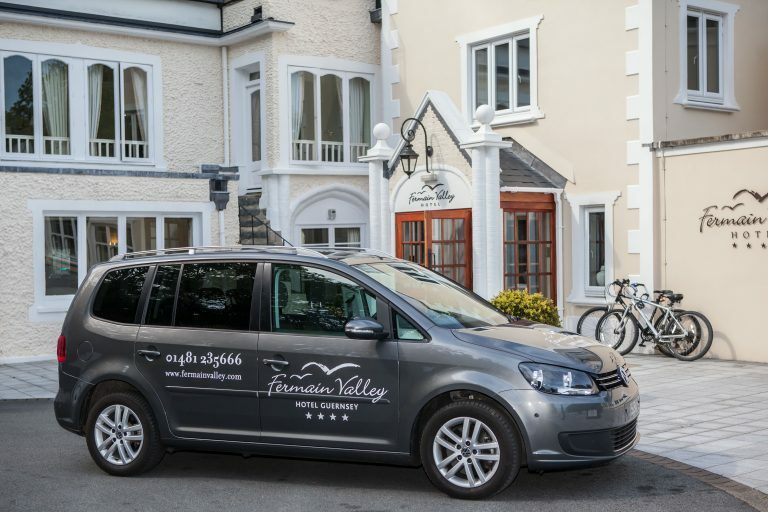 At the Fermain Valley Hotel, we are are pleased to offer our hotel guests a complimentary shuttle service. Whether you need a lift into Town or to the airport, we are happy to assist. We recommend booking this service in advance to ensure our shuttle is available when you need it.